This is quite an arbitrary article title, as operating systems don’t tend to make much of a difference anymore as we have Web Apps, and support for multiple devices. We’re at Windows 10 upon writing this article. With this figure comes a slew of benefits. For one, your clients will more likely be running on Windows. So creating a quick video series for them will be easier for them to navigate around. Plus it shows “you’re being in their shoes” thus will foster commonality. 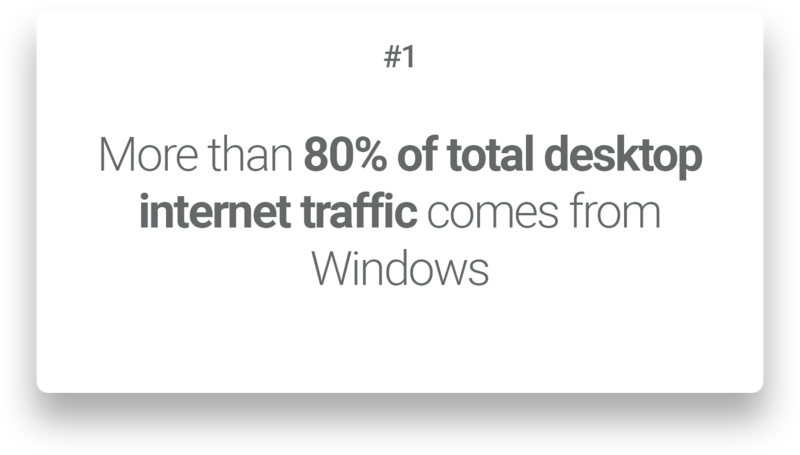 Of course, we need to consider that only 44% of total internet traffic are using Desktop. But your clients will most likely be using a desktop/laptop during office hours. 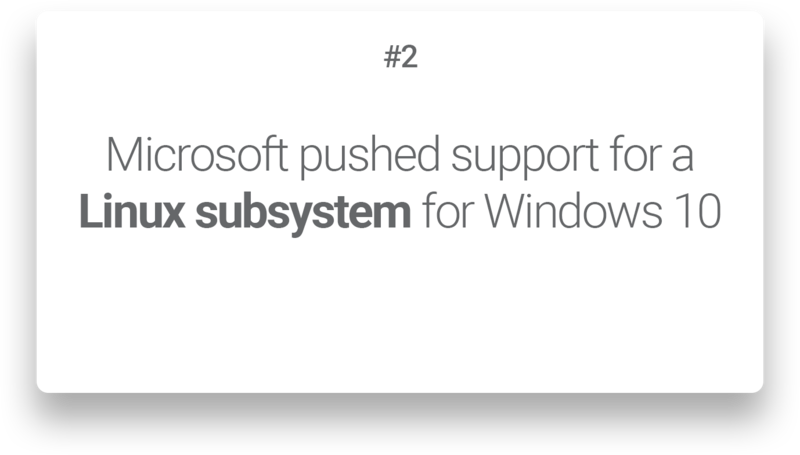 This goes with mentioning that Microsoft supports web developers! Back then in 2015 it felt odd to be working on Windows as a web developer. We had WAMP as the web development server but it didn’t feel right to be honest (for me at least). Now 2018, we have Laragon for basically any kind of web development environment you wish. We also have Local by Flywheel for WordPress web development. The future has never been so bright! 3. 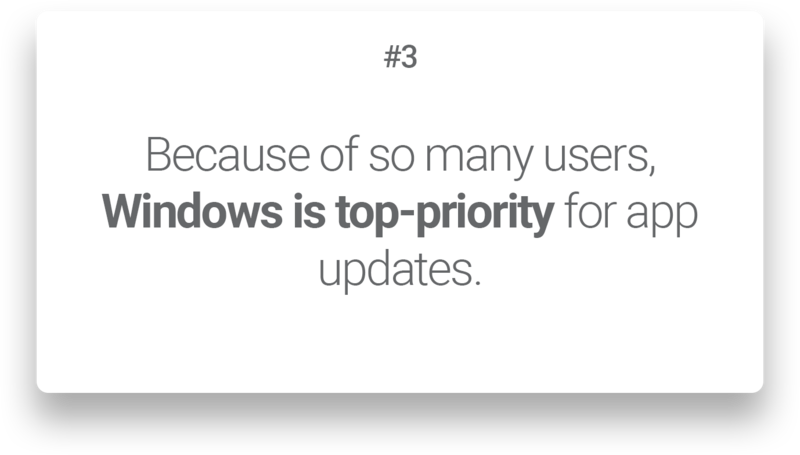 Because of so many users, Windows is top-priority for app updates. You may be using the Command Prompt. Or you may be using the PowerShell. Or you might be using something else? If you would like to make use of the terminal you see on setup videos (rather than finding out their command equivalents on Windows) you can make use of a Terminal Emulator. A good one is called Cmder. It comes pre-packaged with Laragon so thought I’d include it here because it’s so useful! 5. 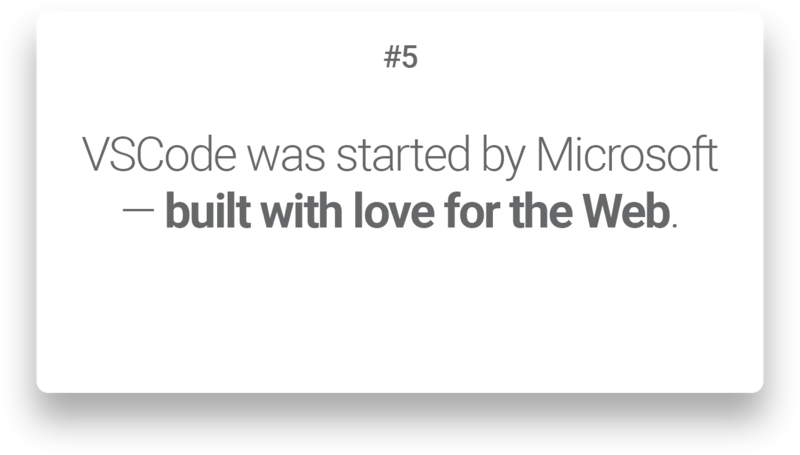 VSCode was started by Microsoft — built with love for the Web. Microsoft does have a lot of developers in its company. So I bet that most of them would be using VSCode now. VSCode seems to be much faster than Atom. Think of the speed of Sublime Text, but the capabilities and rich extensions community like Atom. I will not get into the Text Editor Wars, but I am currently experimenting with VSCode on a few projects and so far it seems to be pretty good. It is still a relatively new text editor (and therefore has its set of quirks), but based on its speed it is great! 6. 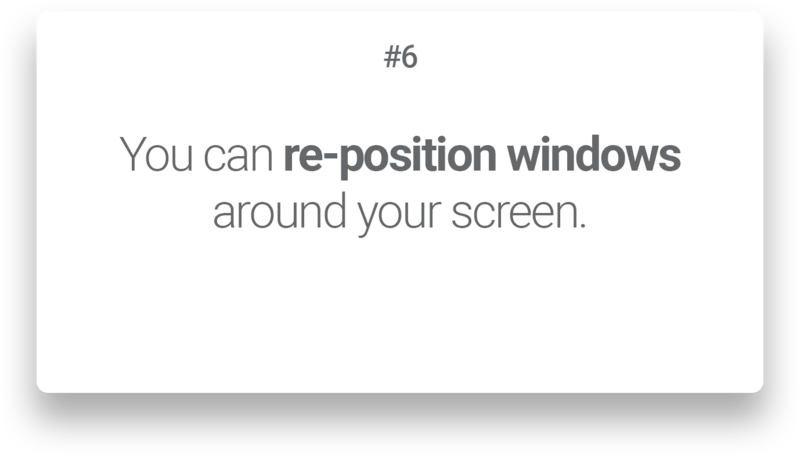 You can re-position windows around your screen. On other operating systems you will need to install an app to manage this. But this has been baked into the Windows OS. A simple use of the ⊞ + ←↑↓→ windows key + Arrow key, will place the active window on the side of the screen. Afterwards, you can then select what will fill the rest of the space if you like. 7. There are more Steam games on Windows ?. Gamers announcement. More Steam games are available on Windows compared to other operating systems*. Primarily as there might be some quirks with having to develop the game for Mac users. Unfortunately Steam doesn’t yet have support for Linux users. *But Steam has it’s own operating system — Steam OS — so that you can create a custom PC built for gaming only! 8. 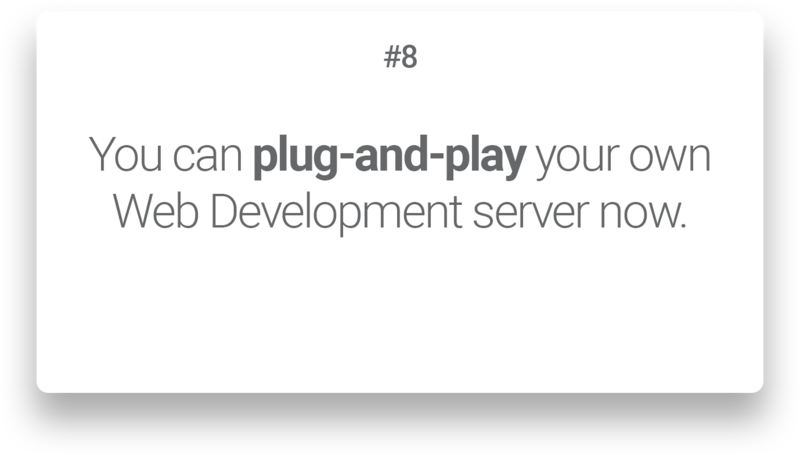 You can plug-and-play your own Web Development server now. This has been mentioned a couple times already, but Laragon is definitely the go-to for web development servers as of now. I am currently a user of this as you can even run it on your USB flash drive! So you can actually bring your web projects physically with you. Or you might want to sync them to the cloud and work through there. Based on the more than 80% of desktop users on Windows, most people still use desktops during office hours. Going forward, it seems that we are in the trend to maintain desktop usage for Web Development. It is bleak to think about a future of web development using a mobile device at the moment. But if you have seen ideas please let me know in the comments below. If you were given £1200 budget by your company to spend on your new PC for web development. What would you go for? I have found in this article here that Windows is the answer. It’s better given the additional upgrades you can get out of it before you top up your budget. 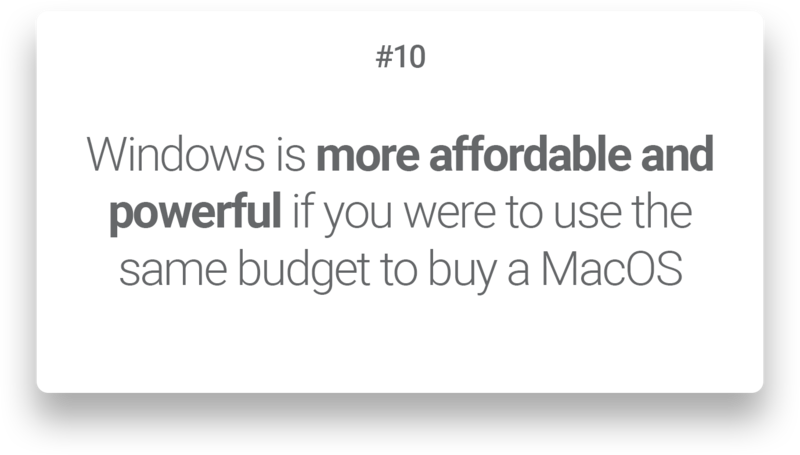 That means either (a) an iMac all-in-one… or (b) a Windows 10 + fancy monitor. 11. 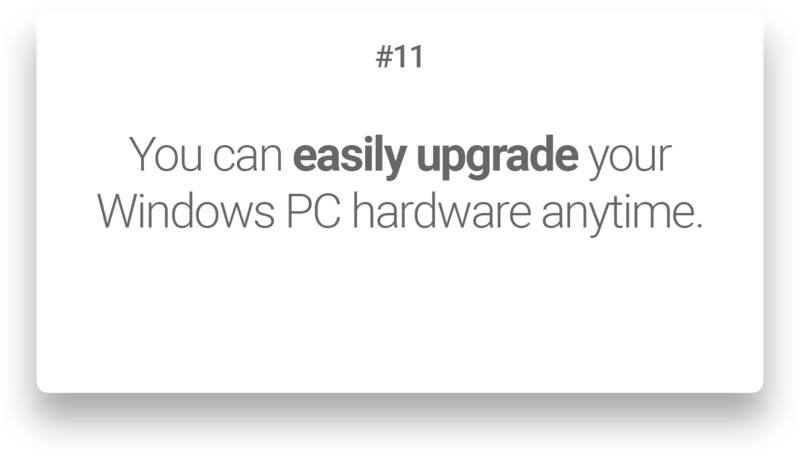 You can easily upgrade your Windows PC hardware anytime. One thing for sure about a PC is that you can easily tinker with it. You can call it your own custom PC, since you performed hardware upgrades on it. Making it more powerful than ever. The budget is all up to you. But at least you have the availability when you desire to customise your existing Windows PC! 12. You can build a Custom Windows PC on your own. 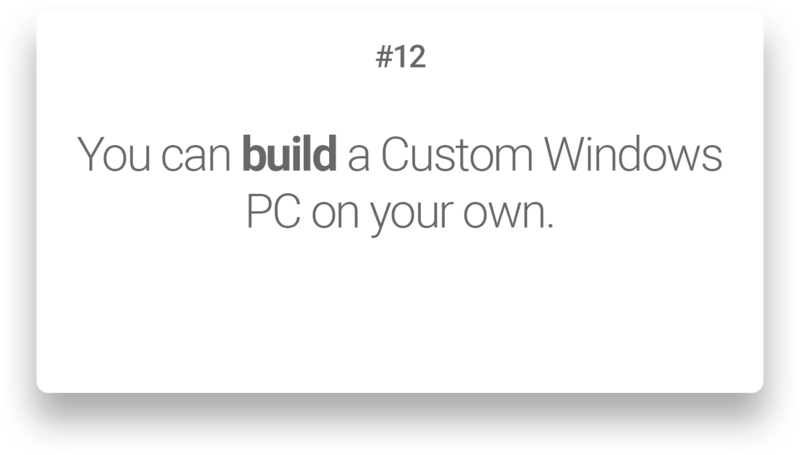 To make this a point: you can build a custom Windows PC. But I would like to extend further that it is not highly necessary for a Web developer to be customising their Windows PC. Since apps nowadays are built with speed and compatibility for old devices as well. Therefore think of being given the availability of customising your Windows PC as an enhancement. It’s there if you need it. But okay if you don’t customise your PC. And as you are given the ability to customise your PC when you want, you can wait for the prices of hardware to drop within 2 years, then buy it! After all, Moore’s Law will slow down at some point by around 2025. 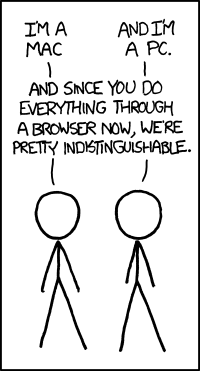 Until then, we have yet to see the evolution of web development by that time in 2025! Of course, upon writing this article I am aware to not be blind-sighted with the flaws of the Windows platform — especially from a web developer’s perspective. But so far it looks like there isn’t much of a difference other than the terminal. And since it is a better idea to use web apps for syncing files and data across your devices and accounts, there really isn’t a need for a comparison between Windows and other operating systems. Other than the fact that they have their own set of UI. Since you might be one of those who are working at an office for Web Development. Windows is a very good option. If you’re a digital agency, I have a gift for a FREE 6-part email course on Agency Automation for WordPress Theme Development. Please do check it out!